ROME (Sputnik) – Three Italian center-right parties, which formed a bloc to take part in the March 4 general election, agreed to form the bloc again to participate in the upcoming regional elections, a Sputnik correspondent reported on Friday. "We discussed taxes, labor and migration. We agreed on single candidates for the upcoming regional elections. That was a very productive day," prime minister and Lega head, Matteo Salvini, told reporters. The right-center bloc, which participated in the latest general election, consisted of Lega party, Forza Italia and Brothers of Italy. 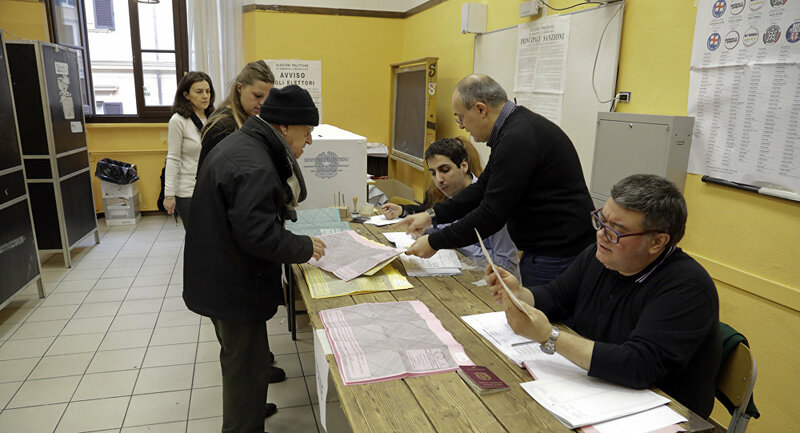 The parties are going to take part in next year’s elections in the regions of Piedmont, Abruzzo and Sardinia. Each of the three parties wants to have its leader in one of these regions: Lega in Sardinia, Brothers of Italy in Abruzzo and Forza Italia in Piedmont. The center right-coalition gained 37 percent of votes at the recent general election but failed to form a ruling collation. The government was created by Lega and Five Star Movement (M5S) while Forza Italia and Brothers of Italy are criticizing the cabinet’s policy.